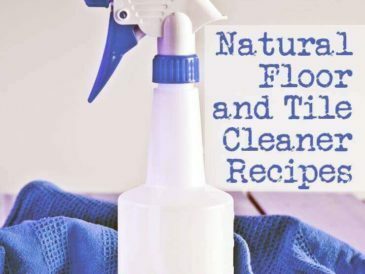 Making the switch to natural cleaners for tile and grout is incredibly easy and very inexpensive. 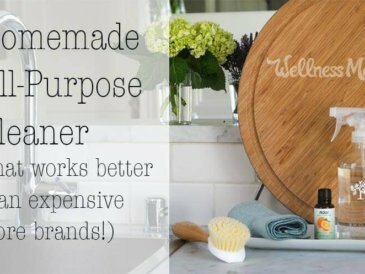 You likely already have all the things you need, and they are more effective, in my opinion, than store-bought alternatives. You also don’t have to worry about your kids bathing in a chemical cocktail after you clean the tub, or a toddler crawling around on a floor covered in carcinogens. 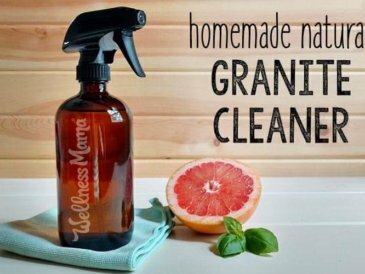 I’m a big fan of homemade cleaning recipes and these were born out of necessity for me. A few years ago, we moved in to our first home (that we ever owned). It needed a lot of work and we remodeled most of it ourselves. One thing we left was the vintage tile in the hall bathroom. Thankfully, it was a light blue color and not a horrible yellow or bright pink as many other 1970s bathrooms. Light cleaning of water spots or dirt- Get a damp sponge, dip in a bowl of regular baking soda and wipe down tub or tiles. Rinse with warm water. 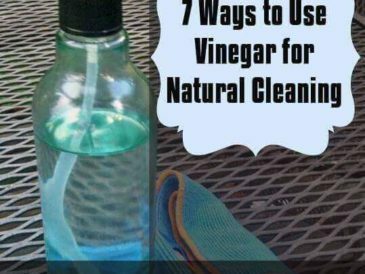 Tough stains or set in dirt- Use a damp sponge in full strength white vinegar to wipe down entire surface. 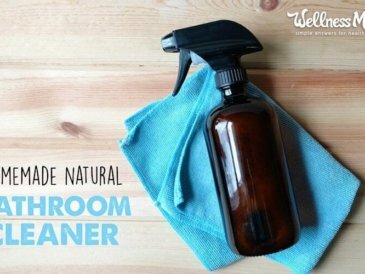 Immediately scour with baking soda and a brush or sponge. 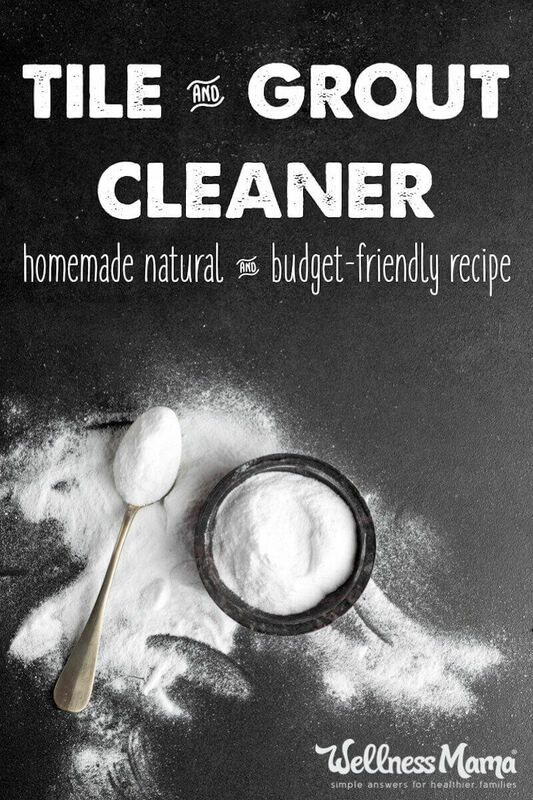 Really tough stains and spots– Mix 1/2 cup baking soda with 2 TBSP of washing soda and 2 TBSP of borax. Add 3 TBSP of Liquid castile soap and stir (if you don’t have liquid castile soap, you can use liquid dish soap). Pre-wipe with full strength white vinegar and scrub with baking soda mixture. For tubs, wipe with white vinegar, sprinkle with mixture and let sit for 15 minutes. Scrub with heavy-duty brush and rinse. 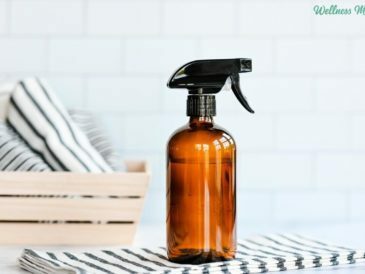 Moldy Grout Stains- For mold on grout make a mixture of 1 part Hydrogen Peroxide (3%) and 1 part water in a spray bottle. Spray on grout until saturated. Wait 45 minutes and wipe down with sponge and rinse well. 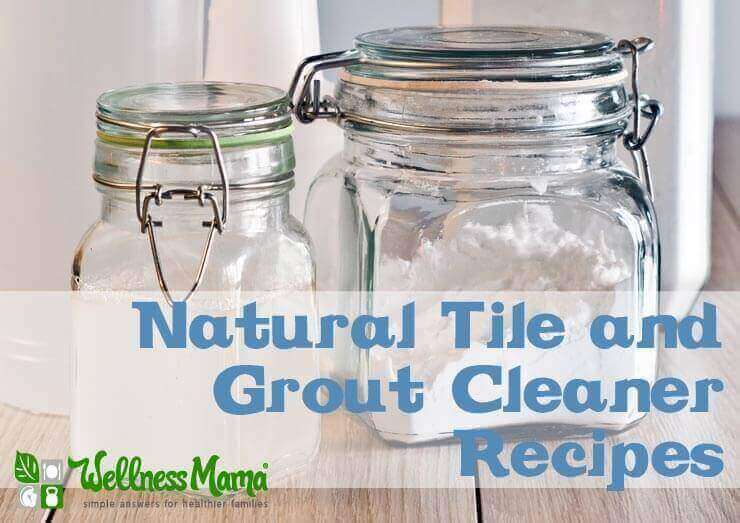 Have you ever made homemade tile or grout cleaner? How did it work?